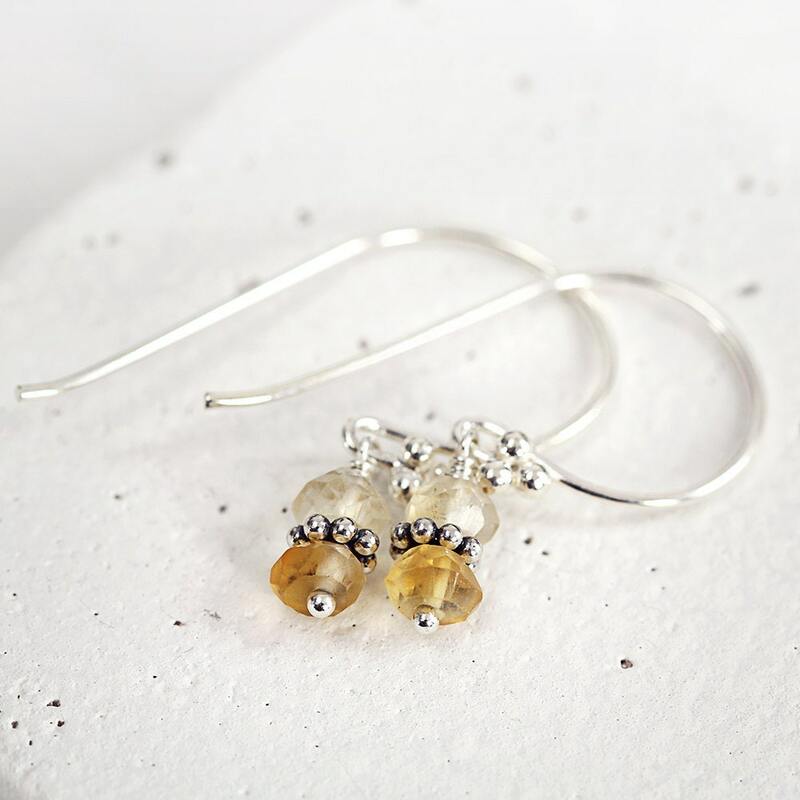 These lovely little citrine earrings are delicate, minimal and stylish. 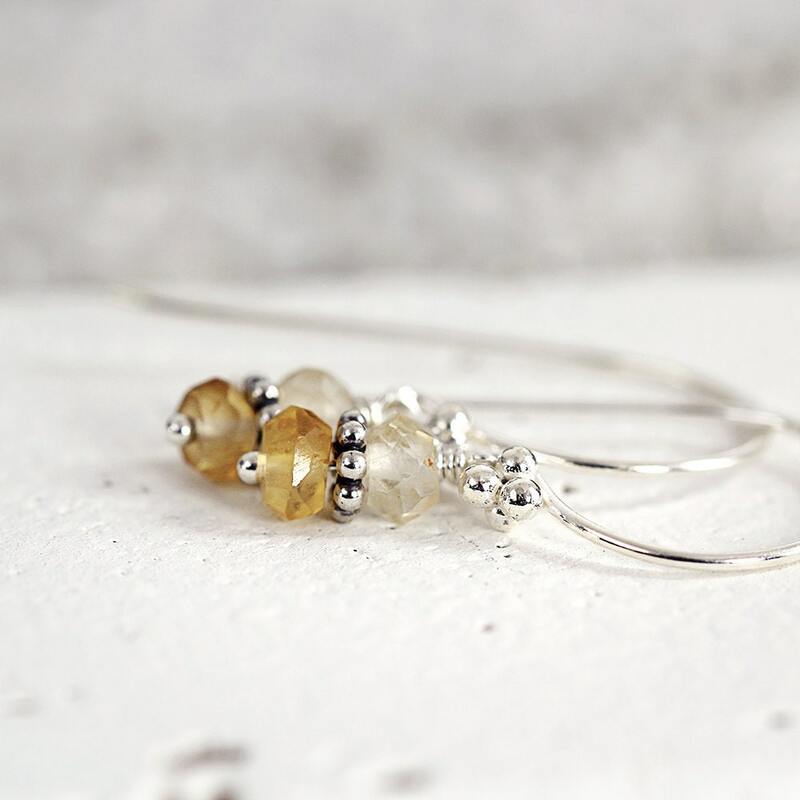 A paler citrine stone sits above a deeper one, with a sterling silver bead nestled between. These are dainty little earrings measuring just 2.3cm from top to tail. Finished with matching sterling silver ear wires. 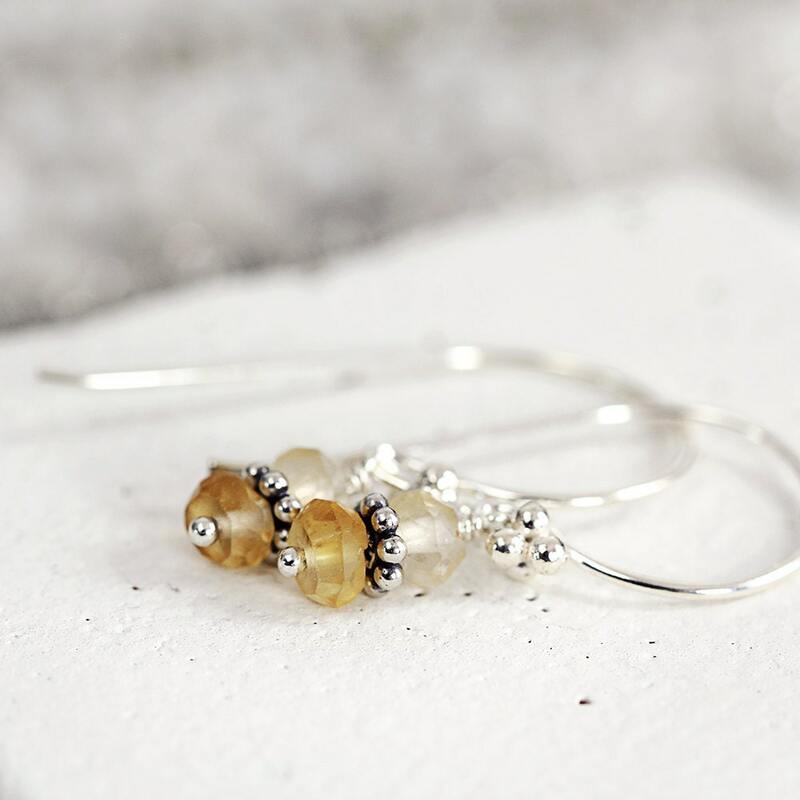 Along with Topaz, Citrine is the birthstone for November, and is known as the "success stone" because it is thought to promote success, prosperity, and abundance. 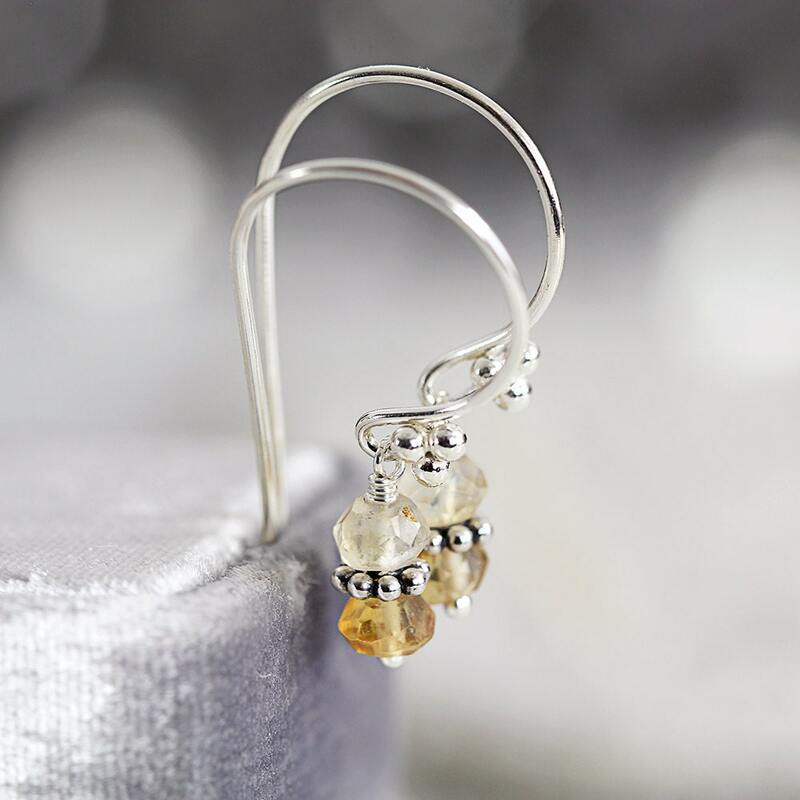 Citrine is a stone that brings happiness, cheer, enthusiasm and joy to one who carries or wears it. It raises self-esteem and self-confidence, and is excellent for overcoming depression, fears and phobias. 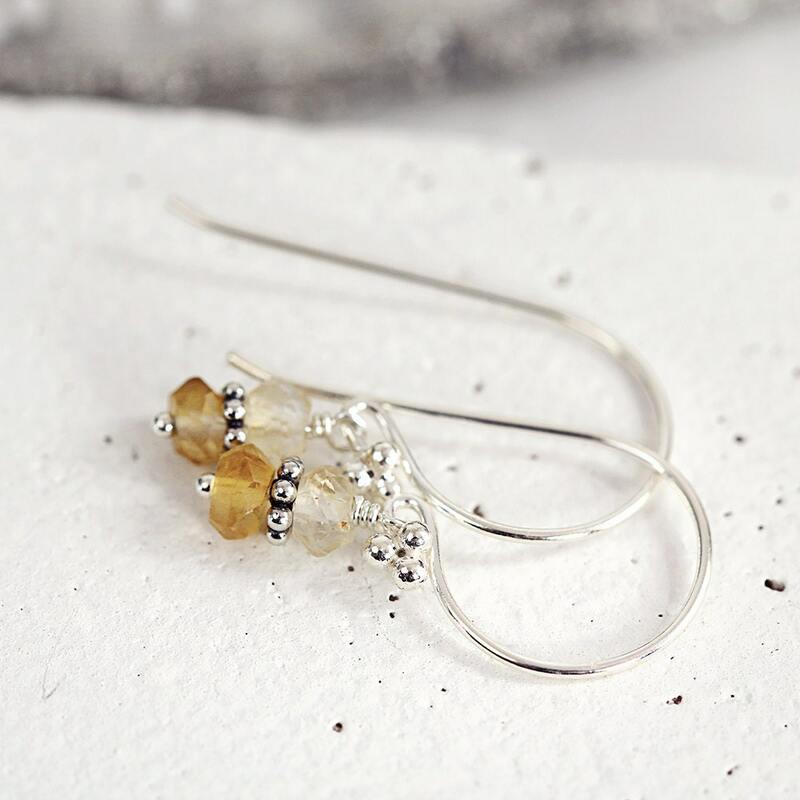 These yellow gemstone earrings are subtle & chic and make a gorgeous gift for a loved one - for your mom, sister, girlfriend, wife or a friend - for any occasion such as a birthday, a graduation, an anniversary, Christmas or Valentines Day gift. ON SALE - last few pairs! * Gemstone beads measure approx 3-4mm. * Total length from top of ear hook approx 2.3cm.